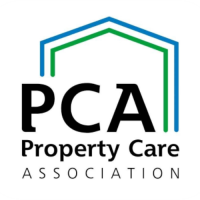 The Property Care Association (PCA) is the Trade Association providing accreditation and support to companies specialising in Damp-Proofing, Structural Waterproofing, Condensation Solutions and Timber Infestation. The PCA (incorporating the British Wood Preserving Damp Proofing Association – BWPDA) has been in existence for 75 years, and throughout this time has been noted for its training and technical expertise. In order to become a PCA member a company must undergo rigorous and ongoing checks, therefore when choosing a PCA member you can be certain that they will perform to the high standard set by the PCA. Required to have gained industry recognised qualifications. Able to offer insurance backed guarantees. Audited regularly to ensure the PCAs high standards are adhered to. Required to adhere to a formal Code of Conduct. Expected to co-operate with the PCA in the unlikely event of any problems or complaints. Licensed under the governments TrustMark scheme. The PCA through regular technical, operational and procedural checks, is able to give consumers assurance that all members can deliver high quality service. This service and the peace of mind given can be enhanced further by insurance backed guarantees through Guarantee Protection Insurance (GPI). Please visit www.property-care.org for further information.